Regularly maintaining motor activity is recommended by the WHO (World Health Organization) in the CIF (International Classification of Functioning, Disability and Health). The stimulation of injured limbs through physical activity allows to efficiently fight the risk of secondary complications prone to appear following a spinal injury (Crane 2015). Stimulating muscles below the injury allows to manage the cardio-vascular risk by modifying the ratio between lean body mass / fat body mass, and thus premature risks of carbohydrate and lipidic metabolism dysfunctions (Evans 2015). This also allows to reduce thromboembolic risks by repelling venous blood thanks to muscular activity (Rimaud 2008), as well as the risk of fracture of the affected limbs. Physical exercise will stimulate loco-regional vascularization, activating the osteocyte production and improving the dysregulation of bone remodelling (Lai 2010). Therefore, it allows to maintain physical as well as psychological health for the spinal cord injured, through the improvement of their lifestyle and a renewed self esteem. As a matter of fact, the patient will accept a better body image thanks to the maintenance of muscular volume and contour which make physical appearance more aesthetic. The ANTS association adopted a mission to create the missing connections between sports and handicaps. As a primary objective, the association aims to make accessible physical exercise to people affected by a spinal cord handicap. These physical transformations also ease daily movements (Guiraud 2014), similar to transfers. Physical activity also brings to spinal cord injured a reduction in pain complaints, an improved mood and well-being by preventing disorders such as anxiety, depression and isolation. The activities, individual or grouped, and most often recreational, ease the process of social inclusion. In hospitals, accessible gyms are open to patients to allow them to maintain regular physical activity. This practice is essential to compensate the absence of daily physical activity due to the handicap, as it allows to avoid the appearance of secondary injuries listed above (soreness, cardio-vascular disorders, etc. ), as a result of paralysis. 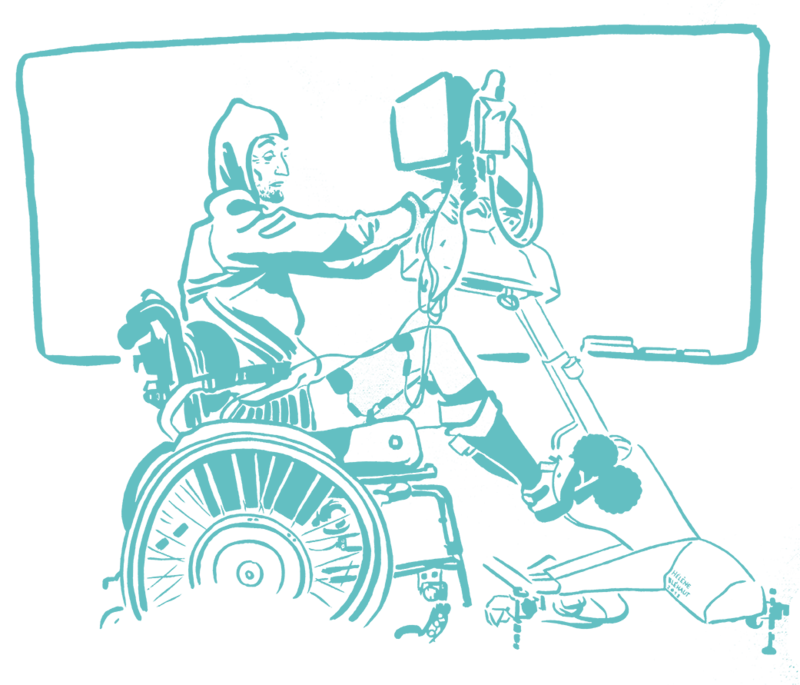 Once out of hospital environments, it is very difficult for people affected by motor handicaps to maintain daily physical activity, as a result of the absence of venues equipped with accessible devices. Une inscription annuelle à l’association ANTS vous donnera un accès libre à la salle de sport adapté, en fonction des horaires d’ouverture. This electro-stimulation equipped bicycle allows contraction on paralyzed muscles through electric stimulation. The pedalling movement is re-created through non-invasive surface electrodes. An electric current stimulates the motor nerves of the paralyzed muscles in order to provoke muscular contractions, in an order that allows the user to pedal again. The mobilisation of the lower limbs through the regular practice of electro-stimulated bicycles improves users’ health. More details on these benefits. 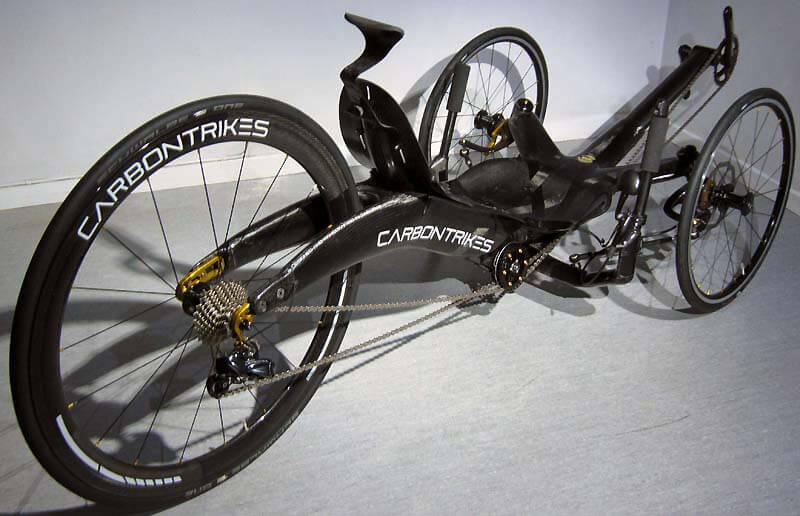 The “Carbon Trike”, tricycle made with carbon fibre which equips the gym, was created in order for the ENS Lyon team to participate in the Cybathlon 2016, on the electro-stimulated bicycle contest. 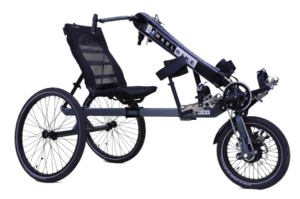 The frame was created in collaboration with the Swedish company Carbontrikes, which manufactures the world’s lightest recumbent trycicles. This special model was made even lighter, as it is designed to be used exclusively on track and indoor. It has then lead to a model now commercialized by the company Carbontrikes. The frame has been signed by famous cyclists Raymond Poulidor, Eddy Merckx and Jean-Christope Petit. The berkelbike is an electro-stimulation bicycle that allows to simultaneously pedal with legs and arms. It is a bicycle that can of course be used outdoor, but we have set it up in our venue with a home-trainer connected to a software that simulates a movement along an actual path with real-life images on a wide screen! 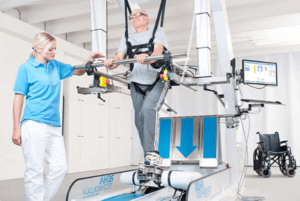 The walking machine G-EO system from the company Reha Technology allows to perform the natural movements of walking on a flat ground or imitates a staircase. 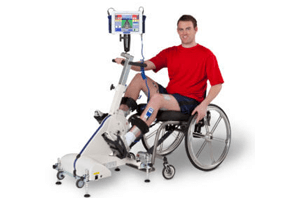 This machine of a unique conception is available with a functional electro-stimulation module in order to exercise the muscles of paralyzed legs. 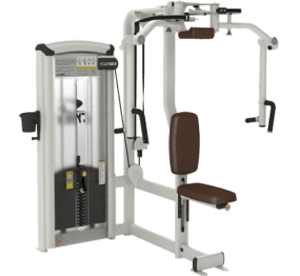 The set-up on the machine is done in a few minutes and one session allows a stimulation of the cardio-vascular system greater than on a bicycle. 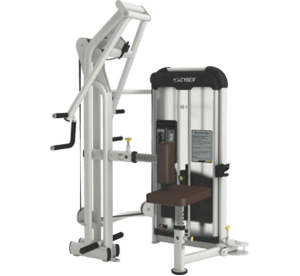 We foresee the acquisition of this machine as soon as possible, so help us raise the 400,000€ needed for its purchase.